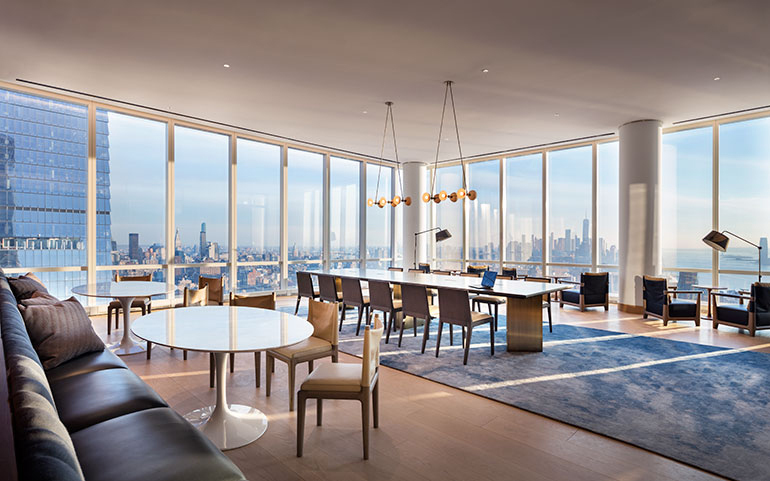 The New York City skyline just north of Chelsea recently gained an impressive new addition. 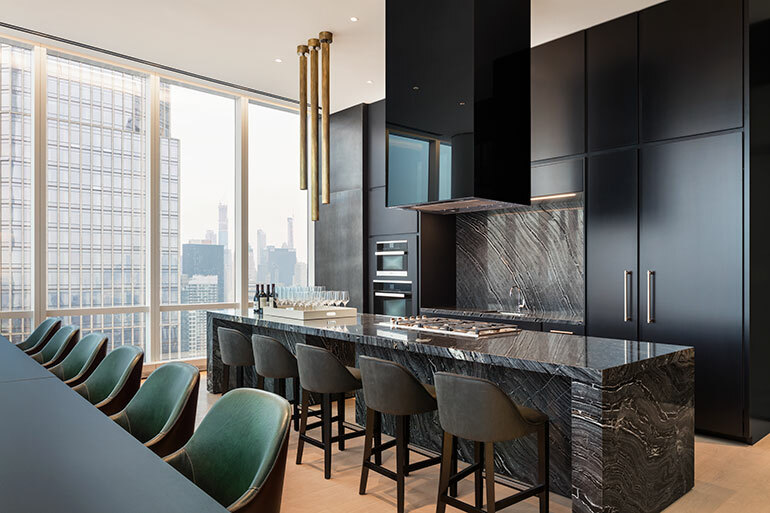 Seventy stories of cold-bent glass enclose the 285 residences of 15 Hudson Yards, the first residential property slated to open in the newly-developed neighborhood. 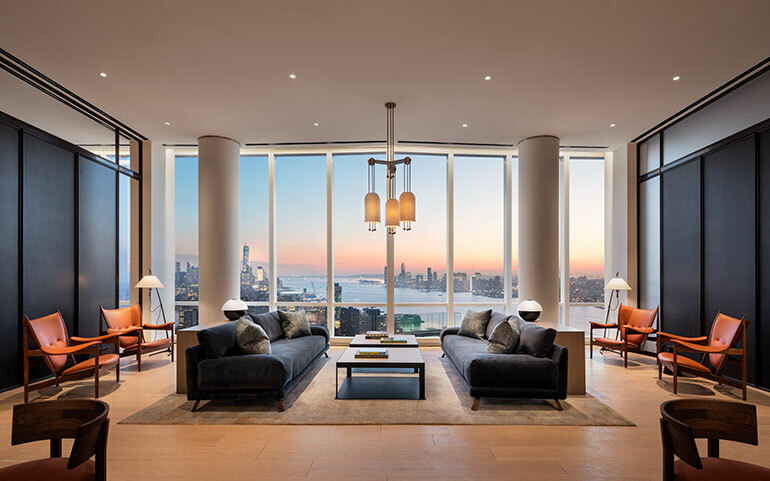 Enclosed within the monumental tower are 40,000 square feet of wellness and lifestyle amenities, executed jointly by interior design and architecture firms Rockwell Group and Diller Scofidio + Renfro. 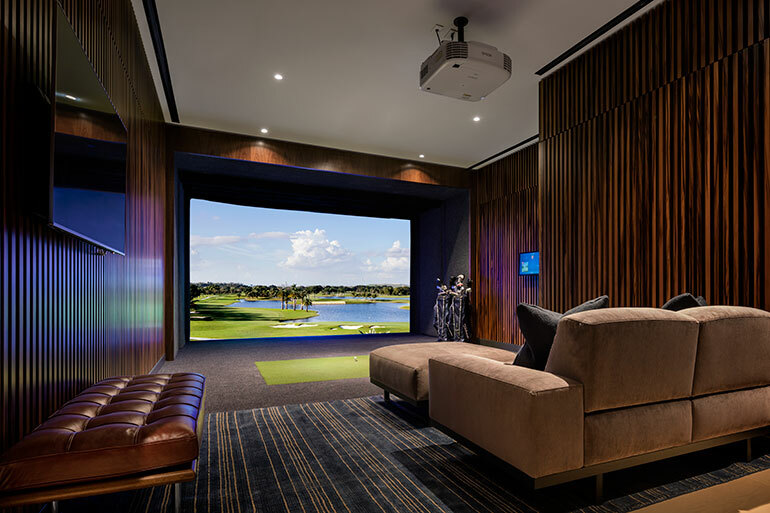 The 50th floor of the building is a veritable wellness destination. 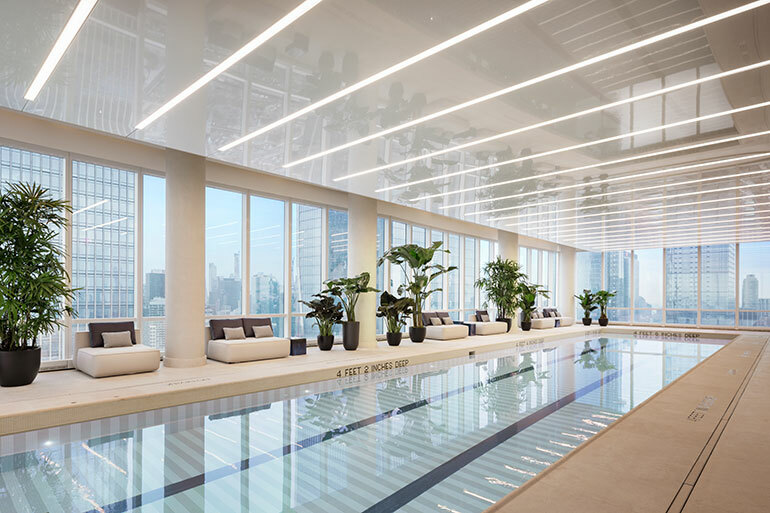 A 75-foot-long swimming pool overlooks the Hudson River, while a private spa and beauty bar offer a respite from the stresses of city life. Elsewhere on the floor are a fitness center and yoga studio commissioned by The Wright Fit, a fitness center design and consulting firm.